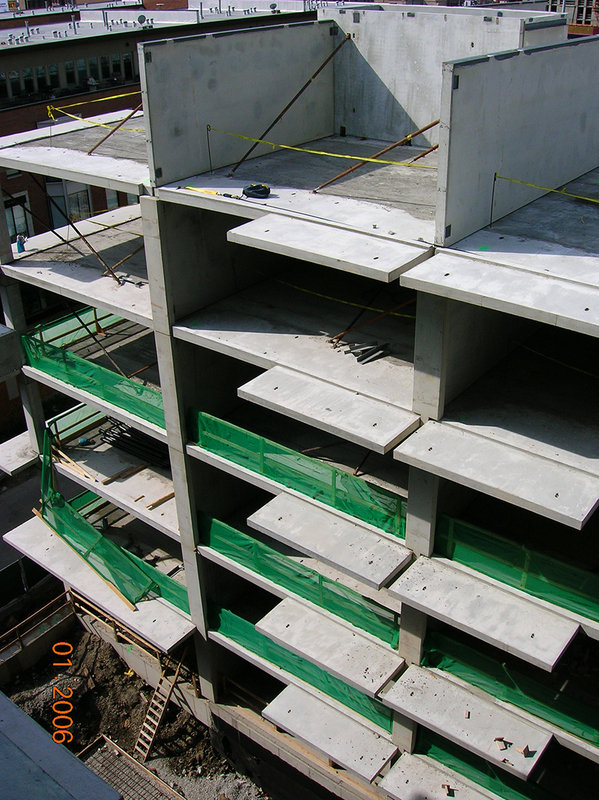 Precast balconies are a popular choice for both their speed of construction and quality finish. Precast balconies provide the outside space desired, and the desired look. Balconies may be cantilevered, fully supported or flying. Mid-States balconies can be designed for both aesthetics and function, making them a great addition to any structure. They are particularly popular for multi-family and mixed-use buildings. Speed of construction. Balconies can be erected with flooring. Aesthetic versatility. Available in various shapes and sizes for any structural or architectural requirements. Extra space. Balconies provide additional outdoor space for each unit. Durability. Precast balconies are resistant to nature, from termites or hurricanes to high winds and seismic events. Safety. Finished with a standard non-slip broom finish.